The news is again covered in stories of drones causing chaos at airports but amongst the media hype there is a chance that all drone pilots face being tarred with the same brush or irresponsible and unsafe... The truth of course is that most people in the country are law abiding and drone pilots having invested in a huge amount for their drone are generally responsible and careful (I say generally!). Some people will make mistakes and some will break the law intentionally and there needs to be a mechanism to reduce both. UAV8 Ltd support the argument for formal training and registration. The registartion is being dealt with and is expected around November this year. In terms of training we believe that the current 'obligation' for drone users to watch or read the Drone Code is not adequate enough and is not robust. We would suggest a short course that covers the following subjects - Air law, Air Sapce, Air Safety and Risk Assessment. We beleieve if all drone pilots received formal training by the CAA or the NQEs situated throughout the country that this would improve the knowledge of all drone pilots, reduce the risk significantly and reduce the excuses for those that are not so law abiding when the Police finally come knocking! 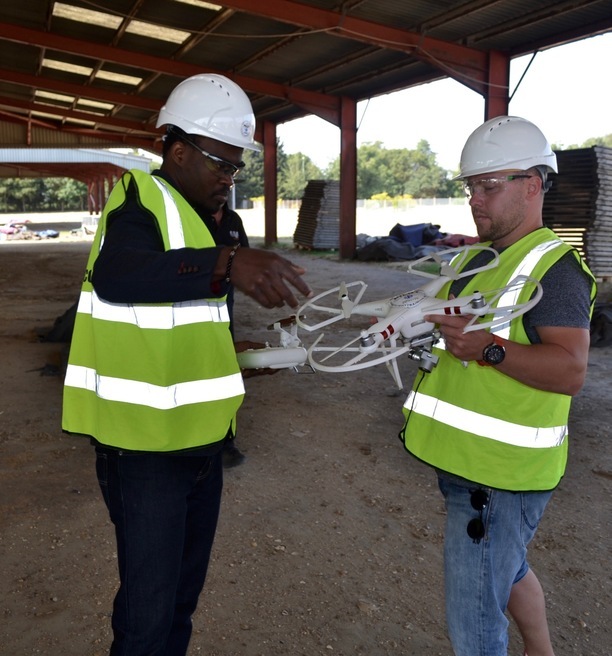 Flock Cover has joined forces with commercial drone training school UAV8, as the insurance firm continues to expand its network in the UK. The partnership has set out to enable UAV8 to provide free Flight Assessment insurance with their courses. Both companies are hoping to move will go some way in protecting training pilots further with both hull and public liability cover. UAV8 Ltd offer training towards the CAA Permission for Commercial Operations (PFCO) for the fairest and consistently lowest prices in the UK. Nick Lewis the Finance Director explains. "There are no plans to increase the price of our training courses in 2019. We purposely reduced the price of PFCO training early in the year to enable the training to be more accessible to more people. Our logic is that if more people can affors the training then there is a diect benefit in that more people will operate legally and therefore we can help the CAA in their aim to keep our sky safe for all". UAV8 Ltd offer training towards the CAA Permission for Commercial Operations (PFCO) for the fairest and consistently lowest prices in the UK. Nick Lewis the Finance Director explains. "There are no plans to increase the price of our training courses in 2019. We purposely reduced the price of PFCO training early in the year to enable the training to be more accessible to more people. Our logic is that if more people can affors the training then there is a diect benefit in that more people will operate legally and therefore we can help the CAA in their aim to keep our shky safe for all". 2018 and been the busiest year since the company began provideing Proffesional Commercial Drone Pilot Training in the UK. UAV8 Ltd have trained 300 drone pilots towards ther CAA approved Permission for Commercial Operations (PFCO), all of whom are now successful commercial drone operators. We have trained candidates from as far away as Mauritius and from all corners of the UK. Even though we are static in Ipswich this has not been a barrier to people attending the courses due to the facilities, reputation of UAV8 Ltd and the incredible price. UAV8 Ltd have provided services and training to some major UK companies this year. Services have included documentation preparations, consultancy and work within the Extended Visual Line of Sight (EVLOS) and Beyond Visual Line of Sight (BVLOS) areas. The company, thanks to the incredible team of instructords and support staff has gone from strength to strength and is fast becoing the leading provider of Commercial drone Pilot training in the UK.